The pursuit of sustainable growth was the central topic at Innosight’s 2018 CEO Summits. Held in Boston and in Munich, the day-long gatherings convened leaders at nearly 50 companies focused on innovation and transformation. Led by Innosight co-founder and Harvard Business School professor Clay Christensen and other strategy and innovation experts, delegates discussed solutions to common challenges—accelerating disruption, leadership alignment, organizational resistance—and shared successes and breakthroughs with their peers across industries. Through these dialogues, leaders worked towards a new understanding of successfully creating and implementing a long-term approach to growth strategy. See our full 2018 CEO Summit report for takeaway insights and perspectives on growth and transformation. GROWTH IS A CHOICE. FOCUS ON THE CURVE BENDERs. Bose Corp. is building on its leadership in audio technology to open up a new growth space in consumer health & wellness with hearing, sleep, and fitness applications. S&P Global has transformed from a conglomerate to a focused financial insights firm investing in new AI models and cloud services, while expanding into China and emerging markets. Hertz Corp. is moving beyond car rentals to become a fleet management and logistics company positioned for a world of interconnected vehicles, ride sharing, and autonomous driving. Intermountain Healthcare is expanding its view of healthcare by running pilots addressing non-medical determinants such as housing instability, food insecurity, and domestic violence. Download Chapter One (of Three) of Our CEO Summit Report Series. ALIGNING LEADERSHIP, ACTIVATING CULTURE CHANGE. Daimler AG no longer just sells its automobiles but has launched Europe’s largest car-sharing service, so that customers can use their smart phone to rent nearby vehicles by the minute. Singapore’s DBS Bank redesigned its tradition-bound culture by becoming a “26,000-person startup,” a customer-obsessed, data-driven learning organization creating digital platforms for its global expansion. Steelcase is moving beyond furniture and physical office design to create a flexible “space-as-a-service” business model, enabling workers to be productive anywhere and anytime. Nestlé is transforming into a firm focused on research-driven nutrition, health, and wellness—by launching autonomously managed ventures. As these firms have shown, pursuing “new and different” growth outside the traditional core requires new organizational structures as well as visionary leadership. To come to a new understanding of how leaders can best navigate new growth, delegates and presenters at both of our 2018 CEO Summit events—held in Munich in June and Boston in August—traded insights on organizational alignment and leading culture change across the enterprise. In Part 2 of our summit series, we are focusing on organizational issues that were brought to life at the Munich event at the state-of-the-art Steelcase Learning + Innovation Center. Download Chapter Two (of Three) of Our CEO Summit Report Series. TOWARDS A NEW LEADERSHIP OPERATING MODEL. Transforming organizations in the face of disruptive change is arguably the most important challenge facing leadership teams. Existing practices that focus almost exclusively on execution are simply not up to that challenge. Leaders need to find ways to place an equal emphasis on adaptability, exploration, and learning. How would a new, more balanced leadership operating model work? What would it look like? What kind of disciplines, practices and literacies do tomorrow’s leaders need in order to thrive in a world of increasing ambiguity and uncertainty? In Part 3 of our 2018 CEO Summit series, we distill leadership lessons from our Boston summit—and explore what we can learn from the organizations that are at the forefront of this new approach. Download Chapter Three (of Three) of Our CEO Summit Report Series. Intermountain Healthcare CEO A. Marc Harrison on leading patient-centric healthcare from the Innosight 2018 CEO Summit in Boston. Intuit Founder and Chairman of the Executive Committee Scott Cook on culture change that sticks from the Innosight 2018 CEO Summit in Boston. Wilfried Porth, Member of the Board of Management, Daimler AG on building strategy in times of change from the Innosight 2018 CEO Summit in Munich. Innosight’s Bernard Kuemmerli and Scott Anthony lead the group through a “walk the line” alignment exercise at Innosight’s 2018 CEO Summit in Munich. 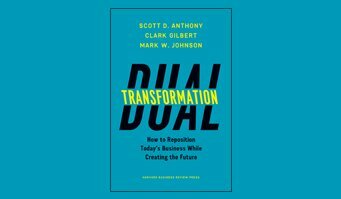 Learn more about Dual Transformation and how leaders at organizations are repositioning today’s business while creating the future in our new book. 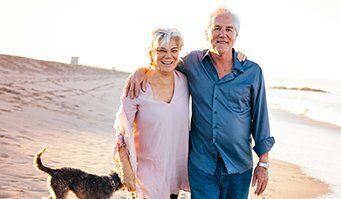 Learn why the jobs to be done approach to healthcare delivery is particularly suited to solving the pressing issue of chronic disease management. These companies excel at reinvention, and their lessons are useful for any organization facing disruption.